Another Successful Marpole Ladies Bonspiel Finished. 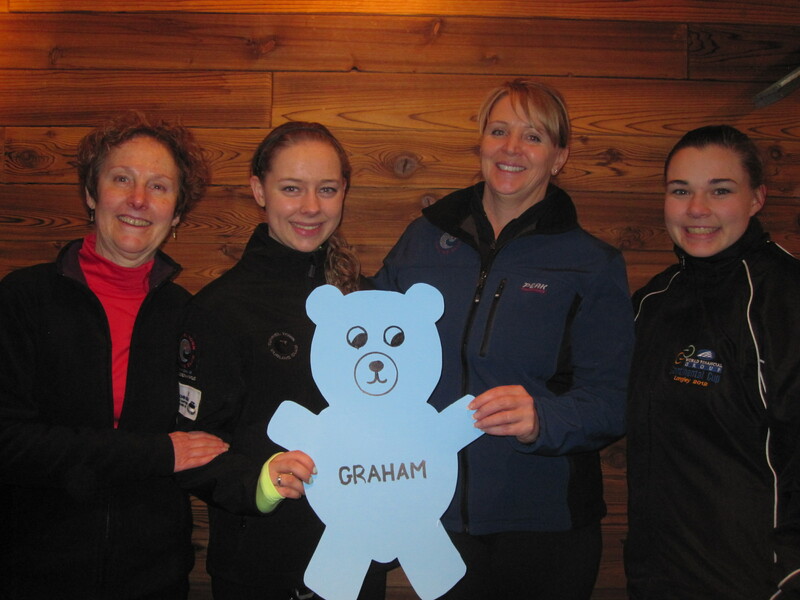 And the Winners Are…..
A big thank you to everyone who participated in the Marpole Ladies Bonspiel last weekend. A lot of hard work was put in by our ladies and a lot of fun was had by everyone. Congratulations to the A box winners, from Tunnel Town, Team Graham, consisting of Lead- Zelma Edgar, Second- Katie Sim, Third-Shelly Elphick and Skip-Kayla Graham. Marpole’s own Roald Team took home the B Box top spot. Congrats to Lead-Lisa Yesowick, Second-Tammy Cameron, Third-Miki Endo and Skip Kenna Roald for making our club proud! C Box winners from the Langley Rink were team Cowan composed of Lead-Claire Morrison, Second-Julie Bellerive, Third-Jackie Ross and Skip-Shiella Cowan. The entertainment was fantastic, the food was divine and the curling was spectacular. Thanks to all the teams that traveled from various regions and across borders. Your support and participation was greatly appreciated and we look forward to seeing you again next season. Congratulations to The Master Men’s Bonspiel Winners Team Peterson. Thank you to everyone who participated in the very successful Master Men’s Bonspiel, hosted by our club on January 14th-16th. Congratulations to the Peterson Team from Tunnel Town Rink who won the aggregate. The team consists of Fifth, Jim Kirkey, Lead, Carl Anderson, Second, Peter Graham and Skip Neil Peterson. See you all next year!